Updated Tuesday July 3, 2018 by SJWB. Money money money, fee fee fee, donation donation donation? We get it. Sometimes it feels like having your child play sports is a never ending game of someone asking for something. Trust us, it annoys us as well. We are SELF_FUNDED and without the various fees and donations we would not be able to teach and train and have fun with hundreds of kids every season. Our competition is City Funded. I know not fair right!?! We still put a fantastic product together, both on the field and off, 100% volunteer and donation based! 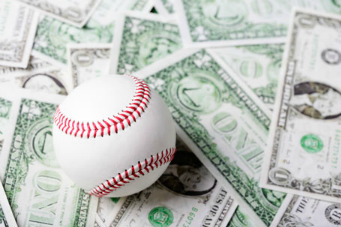 The Seminole Jr Warhawk Baseball league is nearly totally self-funded. Everything from cutting the grass to cleaning the bathrooms is either done by volunteers or paid for with registration, fund raising, concession and local donation funds. When a storm blows in, guess who cleans up the debris. When there are games tonight, guess who cleans and preps the field. When the season starts, guess who buys equipment and deals with the red-tape. That's right, 100% us. Volunteers. EVERYTHING that needs to be done to ensure your kids have a safe, fair, educational sporting experience is done by volunteers and using the funds this league generates. And trust us, there is a LOT to do. Everyday. Year round. The other county leagues with whom we compete, both for players as well as on the field, are city funded. Guess who cuts their grass? Guess who funds their equipment? Guess who preps their fields for game and deals with the various issues and problems that pop up daily? That's right, the city. Getting funds and receiving help from city workers is a huge advantage. That's why it may seem, at times, we are always asking for something. We work very hard to provide a valuable and fun experience here at SJWB. And as history has proven, it works. Despite the obstacles before us we have year-in and year-out not only provided a safe and fun experience but we have managed to produce an extremely competitive product. City championships are the norm, not a rare occurrence! So thank you for your money money money. We wish we didn't have to ask but it is truly a necessity.